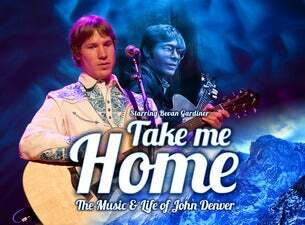 Take Me Home – The Music & Life of John Denver returns to Australia following the astounding success of the 2014 tour of Australia. Singer Bevan Gardiner, accompanied by international musicians perform all the John Denver songs with such accuracy and feeling that if you close your eyes you will be effortlessly transported to the era of John Denver. The show includes exclusive film footage of John Denver through his career, his personal life and his love for the environment.